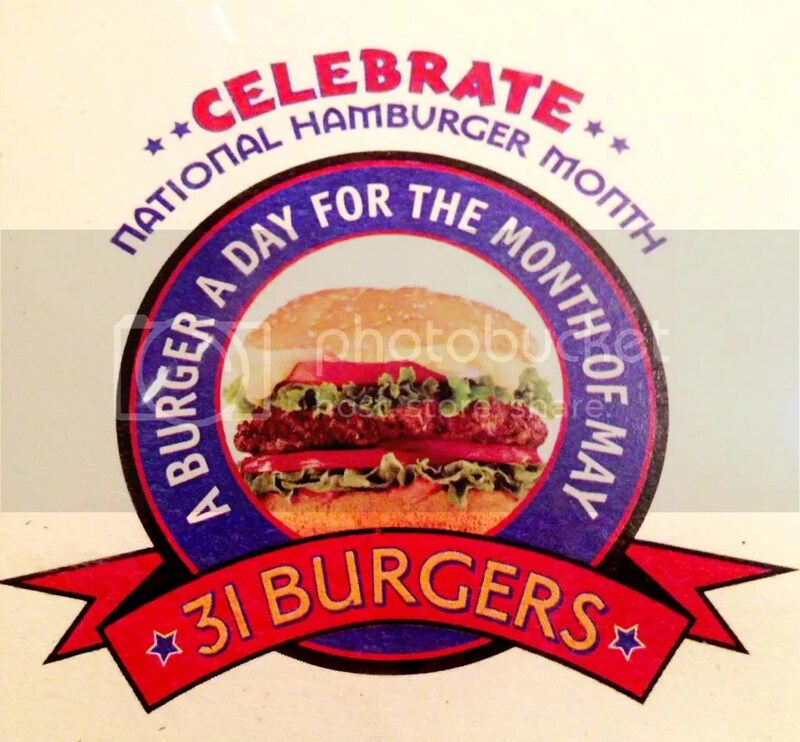 In case you didn’t know, May is National Hamburger Month. As part of the celebration, Iron Hill Brewery creates a special burger for every day in the month of May. I’ve been meaning to get to one of their locations for the past few years to check it out, but haven’t had a chance until this past weekend. The burger listed on the day that I stopped in was the Jersey Diner burger: topped with a fried egg, cheddar, ketchup and New Jersey’s greatest export: Taylor Ham aka Pork Roll. I grew up outside New York City, so I was unfamiliar with pork roll until I moved to Philadelphia (I was also a little bit skeptical about eating it until recently). I ordered my burger medium and it came out slightly more on the medium-well side; not even a little bit of pink in the middle, despite my dining partner ordering his burger medium-rare, which was plenty pink. While I enjoy a fried egg on my burger, I kind of wished the egg had been slightly runny to give the meat a little bit more flavor and make it less dry. There was a lot of ooey, gooey cheese, which I liked. The pork roll itself was pretty tasty, with a touch of saltiness to it. 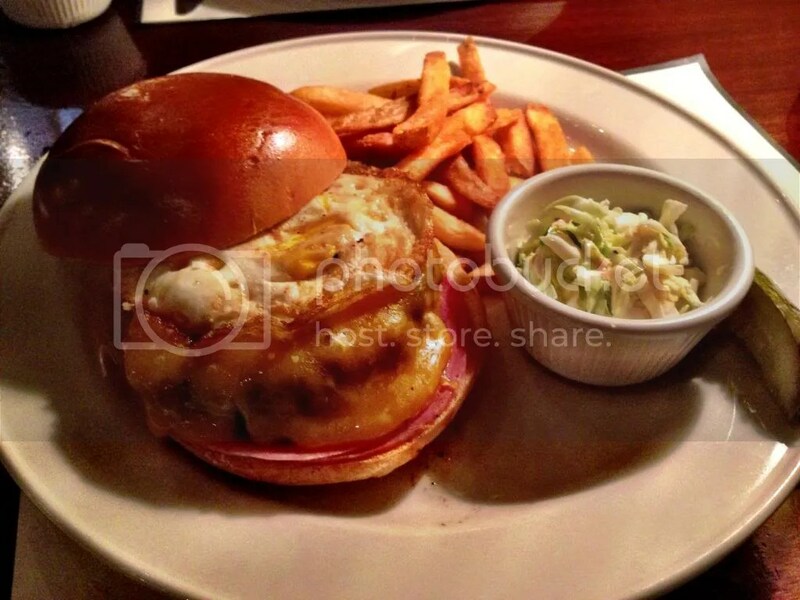 The burger to bun ratio was perfect, with the burger sitting between a shiny, soft brioche bun. The coleslaw on the side was decent as well. If i had gotten a less “breakfast-y” sandwich, I might have opted to put some coleslaw on top. I’m going out of town for the next week & a half, so I’ll only have a few days left at the end of the month if I want to try more of Iron Hill’s special Burger Month burgers (I’m upset that I’m missing out on the Yogi Bear burger – topped with all your picnic basket favorites like potato salad & onion rings). I’ll be eating my way through Nashville & Louisville and can’t wait to share with you guys all the tasty treats the South has to offer! Posted in brioche, buns, burger, Burger Month, burgers, cheddar, cheese, diner, egg, fried egg, Iron Hill Brewery, Jersey, National Burger Month, pork roll. Bookmark the permalink.